Welcome to the Cowichan ICC. Our program has evolved substantially over the last seven years. Our past students have been a vital component of this evolution. Students participating in our program need to be self-directed, flexible and ready for a challenge. This is an amazing year as a learner and is the start of your transformation from student to physician. My Program Administrator, Stacey Taylor, and I look forward to sharing this process with you, and to having some fun in the process. I did my medical training in South Africa at the University of Witwatersrand and worked in hospitals in various disciplines, followed by a transition into Family Medicine in Cape Town in 1990. We moved to Canada in 1998 and I worked in Sparwood, BC, for almost 4 years. 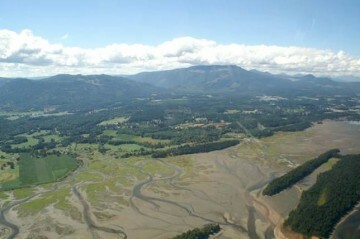 We have lived and worked in the gorgeous Cowichan Valley since 2002. I have been a Family Medicine preceptor in the ICC since its inception, and am also the site lead for the third year Rural Family Medicine rotation for Vancouver Island. I may be new to the role of Site Director for Duncan, having taken over in 2017 from Dr. Maggie Watt, who established the ICC program in Duncan, and who is now the ICC Program Director, but I am passionate about teaching and ensuring that you have an excellent experience as a learner in our community. We have a great collection of preceptors, a community full of excellent learning experiences, and many opportunities for superb recreational activities. We invite you to come and join us for an unforgettable year. The Cowichan (Duncan) ICC was established in 2010. Medical education has a long history in the Cowichan Valley being host to rural practice students since the 1970’s. Since the beginning, the medical community has been very engaged with the ICC program and we work together to provide a high level of clinical experience and supportive environment for the ICC students. It is a great place to live and work. Welcome to the ‘Warm Land’. The Cowichan Region is a collection of communities that services a population of approximately 80,000 people. Duncan, where the Cowichan ICC is based, is located 1 hour each way to Victoria and Nanaimo, and 20 minutes to Vancouver by float plane. It consists of the communities from Mill Bay in the South to Ladysmith in the North and out West to Lake Cowichan and Nitnat. We have a large First Nations (Hul’qumi’num) community with over 6,200 members, and this adds a rich cultural component to our community.